← Pickup and Delivery Services | Curbside pick-up & drop-off. A large item delivery specialist will be familiar with handling a wide range of heavy and bulky items including tables, sofas, gym equipment, garden furniture, wardrobes and even pool tables. Certain items will need careful handling, such as antique furniture and pianos, but all can be collected and transported efficiently and cheaply if you find the right mover for the job. 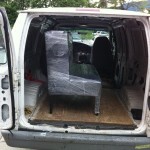 I delivered a couch from HomeSense | West Vancouver | Park Royal to an apartment on Nelson Street, Vancouver. The total charge for the pick-up and drop-off of the couch was $. 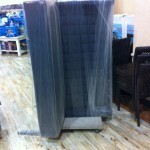 This entry was posted in Small Moves Vancouver and tagged Affordable Local Moving Company in Vancouver, BC. Bookmark the permalink.